I’m pleased to announce that Matt and I will be included on a wonderful new album from Dave Luxton‘s ambient label Wayfarer Records. 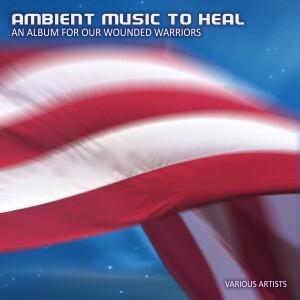 Ambient Music to Heal: An Album for Our Wounded Warriors is a compilation album featuring a wonderful lineup that we’re pleased to be a part of, also including: Boreal Taiga, Jonn Serrie, Byron Metcalf, Steve Roach, Dave Luxton, Jon Jenkins, Vic Hennegan, Robert Rich, and Jon Jenkins. Our contribution, “Cosmic Impression,” is an original piece created and recorded specifically for this release. Aside from all of the great music, this release has a special aim and is for a noble cause. Dave Luxton is also clinical psychologist and veteran, and these particular works are meant to “provide a relaxing, therapeutic ambient music for service members and veterans suffering from [physical, mental, emotional] health-related” disorders. All profits of this release will be donated to the Wounded Warriors Project. Anyone can listen to and enjoy this album, of course. The album will be released physically and digitally on May 17. Check back with the Wayfarer Records and Borghi | Teager websites for specific links on where to purchase the album on the release date.